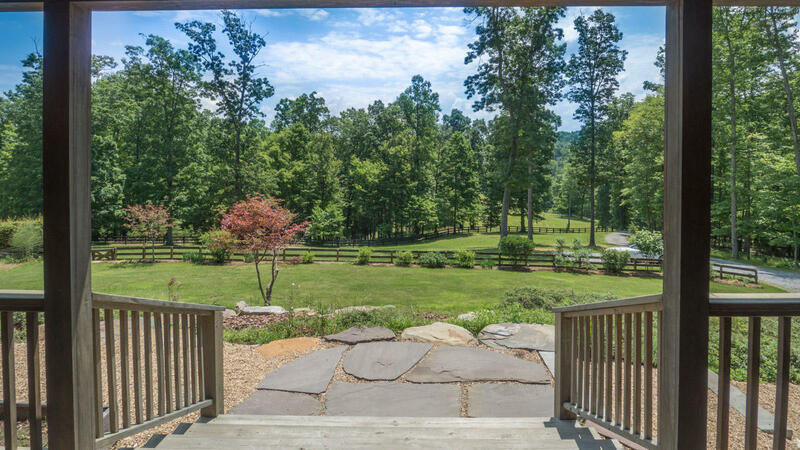 Rare peaceful,bucolic pastoral setting, farm,adj.National Forest, Black-board fenced pastures.Significant remodeling in 2012, new guest bath added & gourmet ''Magazine-Quality Kitchen'' top of the line everything. Front full length porch overlooking the fields, prof. landscaped gardens. 2013 gar w/custom doors + Gator shed. Appliances per listing (as is wood stove optional), agent details. Balance of land will be sold in one-3 tracts with small cottage, total 16.5 acres subject to survey completion.